QuickBooks Labs is where you can try new and exciting QuickBooks plug-ins, provide feedback and help shape our products. QuickBooks Labs enables us to experiment with new features and gather real customer feedback before we roll them out within our products. 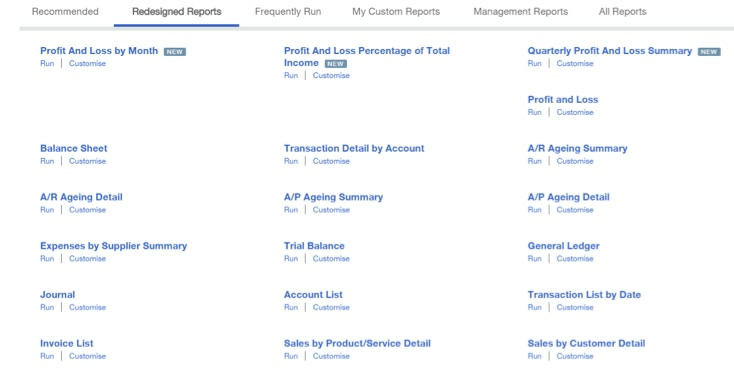 In this article we explore our latest QuickBooks Labs plug-in Redesigned Reports. 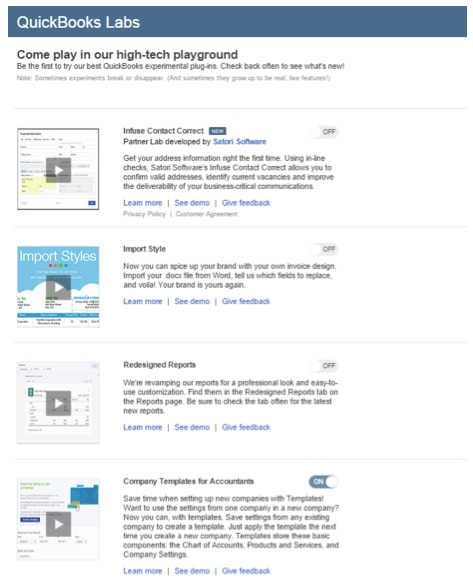 Where can you find QuickBooks Labs? Once in, you have access to more reporting features. The main benefit of redesigned reports is that it allows you to have a more professional look and feel. Here is a link to the Demo (note: there is no sound). As can be seen below by selecting Report Period to the Last Financial Quarter, Period to compare to the Previous Year and by changing the name of the file & report, I have been able to produce a report specific to meet my needs in just a few minutes. 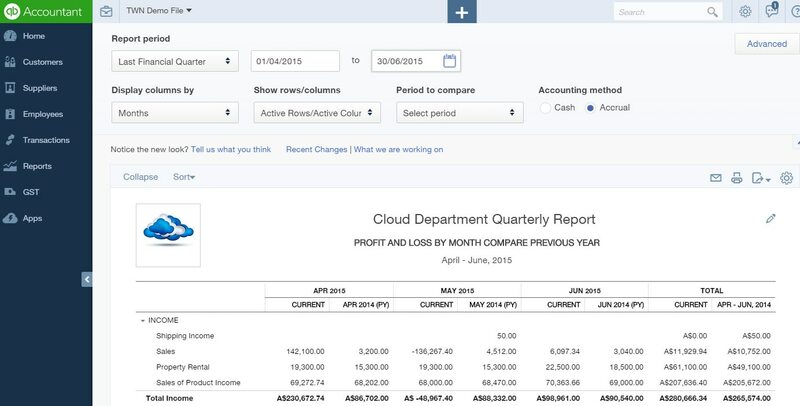 Designing reports to suit your business needs has now become Seriously Easy with QuickBooks Online.